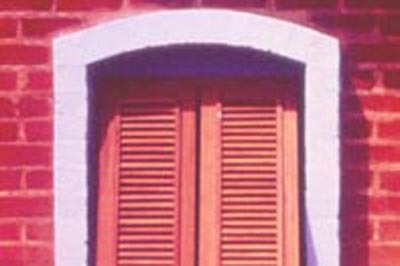 • Bring a worldwide awareness about the possibilities of such roofing. • Research and develop them so as to integrate in the 21st century the techniques used in past centuries and millennia, such as those developed in ancient Egypt or during the period of gothic architecture in Europe. 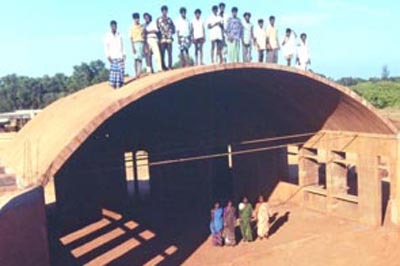 This R&D seeks to increase the span of the roof, decrease its thickness, and create new shapes. 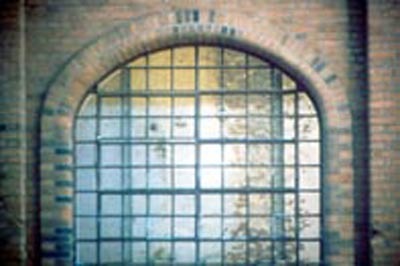 Arches, Vaults and Domes are usually built with compressed stabilised earth blocks, which are laid in “free spanning” mode, without using a formwork. 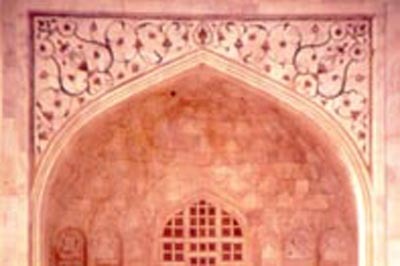 Through the ages, mankind has always been attracted by arches, vaults and specially domes. In different eras this was expressed in various forms according to the local context – social, technical, cultural or spiritual belief. Beyond the simple approach of people, as living material creatures, lies a vaster and wider sustaining holistic concept: the cosmic or divine dimension. People are the embodiment of souls to manifest and realise a spiritual evolution upon earth – to become united consciously with the Divinity within themselves and the Eternal Spirit and One Self. Therefore, throughout Mankind’s evolution, men and women of all nations and cultures try to rediscover their divine origins. 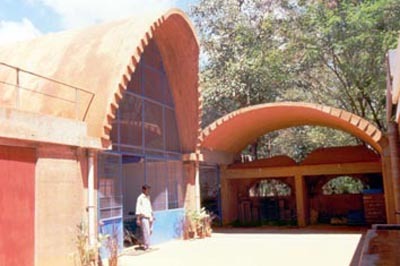 Arches, vaults and domes are particular outer means to express their aspiration through an architectural creation. • Tholos, from the Greek, which means rotunda, circular tomb with a beehive shape. • Omphalos, from the Greek, which means umbilici, the centre, the central part. • Tegurium, from the Latin, which means shrine, round roof covering an altar or a sarcophagus. 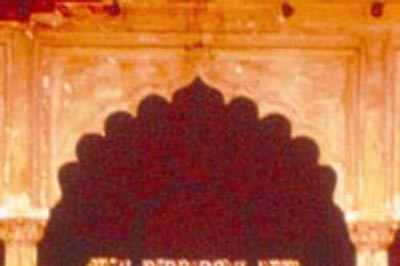 It is often a pointed dome. • Domus, from the Latin, which means house (Domus Dei: the House of God). • Kalubé, from the Syrian & Palestinian, which is used for religious buildings and tabernacles. • Sacred baetyl, from the Syrian and Palestinian, which means tabernacle, to manifest the divine. 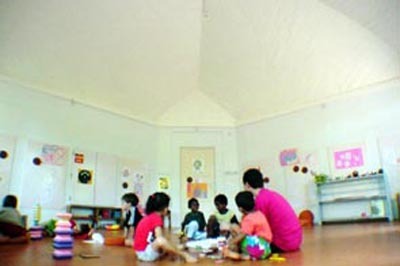 • Vihâra, from the Sanskrit and Buddhist tradition, referring to spiritual community dwellings. • Dom, from the German, Icelandic and Danish, which means cathedral. • Dome, from the English, for Cathedral in the late XVIIth Century. It means also Town House, Guild Hall, and City Meeting House. • Dominical, from the French, which means “Day of God”. • The Cosmic Egg: In Egypt, India, Persia and Greece, they are seen as the egg at the origin of the Creation. • The Celestial Helmet: This is related to the Cosmic Egg in the Palestinian, Christian and Hebraic tradition. It is seen as the priest of heaven, symbol of authority and Divine Power. • The lotus: In the Egyptian and Indian spiritual traditions, it is seen as a manifestation of the divine. When mankind was still in a nomadic state, people’s links with the cosmos through the starlit sky was obvious and crucial. 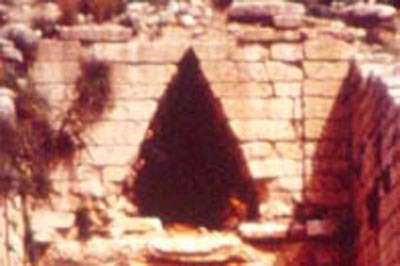 Thus, dwellings were circular and covered either with cones or domes made of branches. 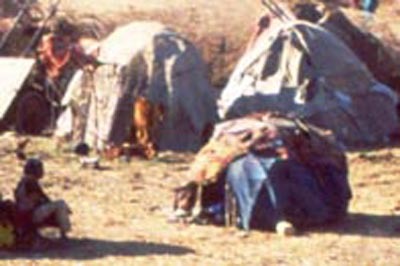 These huts were referred to the centre, the number 1, the circle. 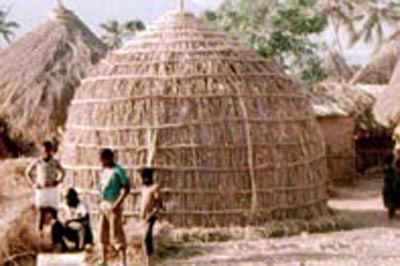 These structures can still be found where there are nomadic cultures, like in Somalia. When people slowly settled down, the circle evolved to the square, the number 4, which is related to the Mother Earth. 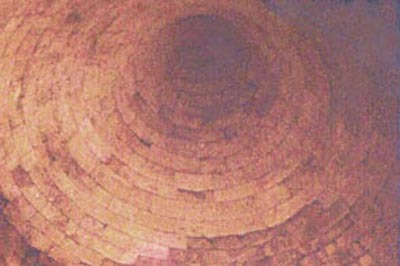 Some houses were still covered by domes, often hemispherical, which are still found a lot in Muslim architecture and in Egypt. Later on, quadrangular plans and pyramidal or flat roofs prevailed. 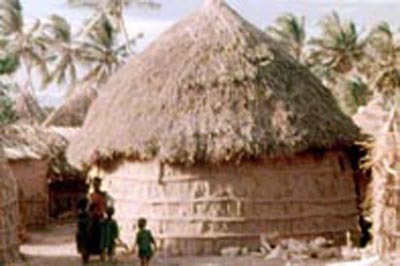 Originally made of branches, the conical or spherical nomad huts evolved into an organized and studied carpentry, more durable and stronger. 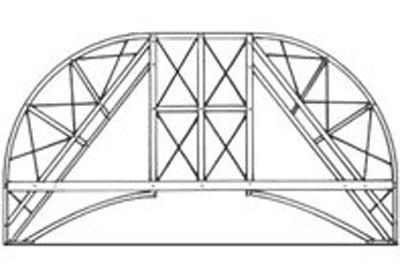 It allowed building wider spans and higher rise. Wooden domes were for a time predominant in major architecture due their lightness, flexibility and earthquake resistance. But wooden domes were lacking the sense of eternity searched for by mankind, especially for spiritual or religious buildings. Thus the stone and brick masonry emerged progressively through the ages. 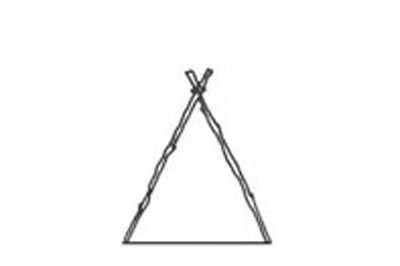 More durable than wooden domes, they were lacking lightness and stability, and also required heavy load bearing walls because of their weight and thrust. They were also more sensitive to earthquakes. 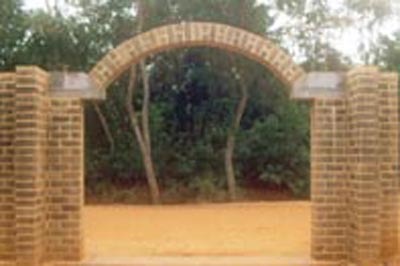 Over the ages, people developed first many types of arches and later on many kinds of vaults and domes. 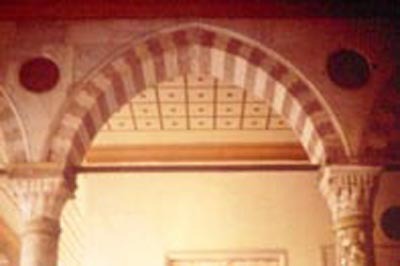 Arches were mainly used to easily span openings without using wooden beams. This was done according to their cultural and technical developments and the available materials. 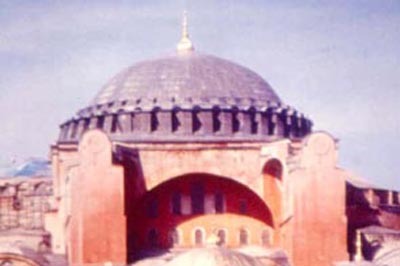 Vaults and domes were not only developed for technical reasons or to avoid the use of wood. As we have seen, they manifested also a spiritual dimension, as happened with the development of Gothic architecture in Europe. In this period of time, there was such a religious fervour, that architects and builders could find the way to transform the heavy and massive Roman style into structures of lightness with the Flamboyant Gothic architecture. 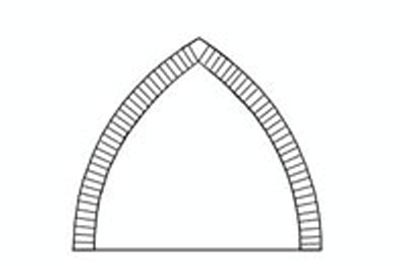 Barrel and groined vaults evolved into the rib system of the pointed vaults. These developments were often the result of technical experiments which were not always immediately successful. An almost infinite variety of arch types, styles and shapes can be found all over the world. This variety evolved with the available local materials, and know-how of the time, but especially with the particular creativity and preferences of a culture. 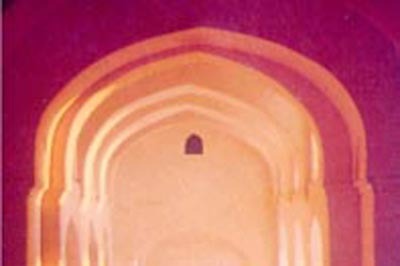 Vaults and domes also show a wide variety of shapes, but less than the arches. 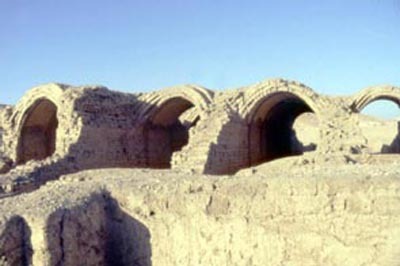 The oldest vaults still standing were built around 1300 BC in Egypt: the vaults of the Ramasseum in the “rest” of Thebes which were the granaries of the pharaoh. 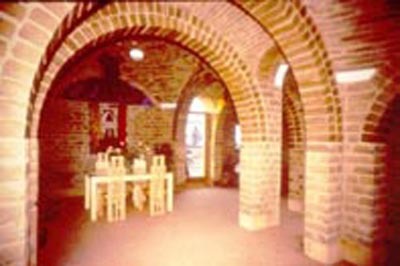 Arches always generate the section of vaulted structures. 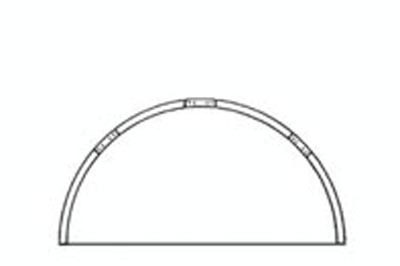 • Vaults are generated by the projection of the arch section on a plan, which is most of the time horizontal. 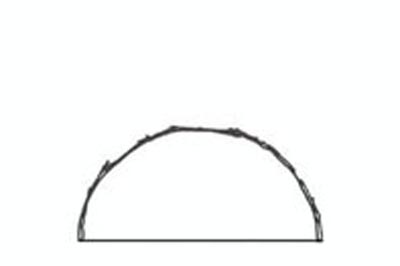 • Domes are basically shaped by the rotation of the arch section around a vertical axis. 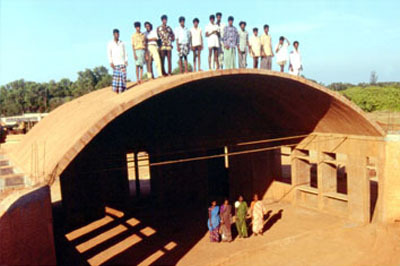 They can be built on circular or quadrangular plans. 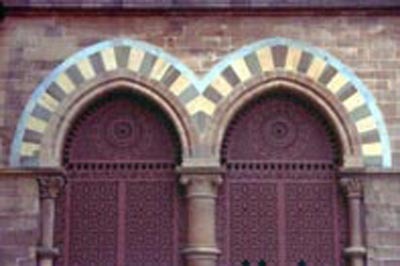 • Domes on squinches are made by a succession of increasing arches starting from the corners. 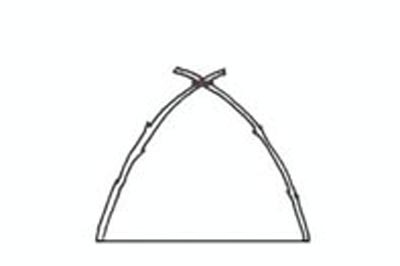 The squinche looks like a half cone or portion of a cone, if the generating arch is not pointed. • Faceted domes are generated by the intersection of vaults, like the cloister dome. But it is built on a faceted plan and not a square or quadrangular plan like the cloister dome. 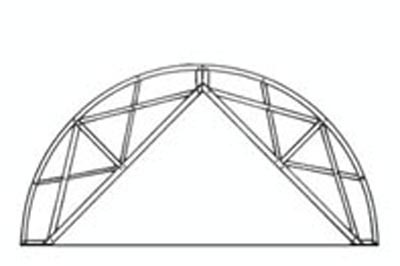 • Groined vaults or domes are the intersection of two vaults crossing each other. Most of the time, they cross perpendicularly. 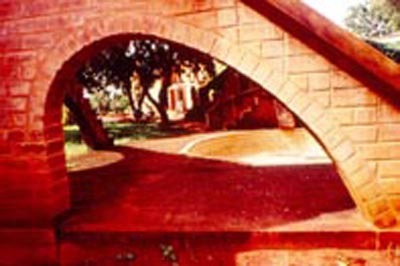 • Cloister domes are also generated by the intersection of two vaults crossing each other, like the groined vault. 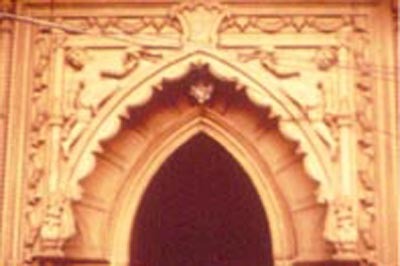 The groin of the groined vault is identical to the inner edge of the cloister dome. 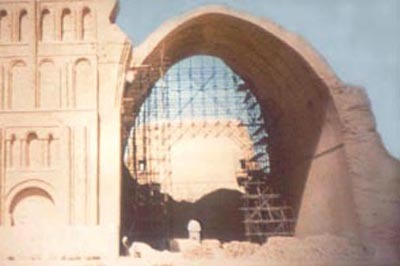 The arch section of the cloister dome is not seen on the side of the dome, but only the cross sections. Note that both supports of a centring should be done with the same material: the example showed above is to show two different cases. The examples of AVD shown hereafter are only the basic types which are commonly found. The variety of AVD is much greater than that. 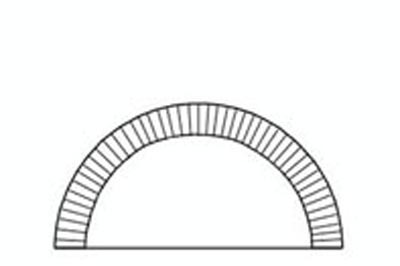 Note that the name of the arch is defined by its intrados shape. 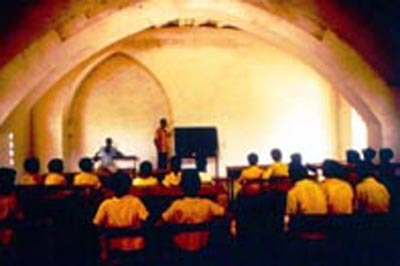 Vaulted structures are characterised by two acoustic phenomena: echo and reverberation. Echo is a disturbing phenomenon which happens only in domes which are generated by the portion of a sphere. 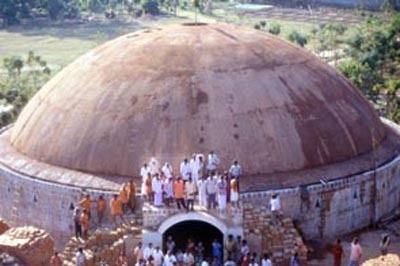 The dome might be built on a circular plan or on a quadrangular one (i.e. dome on pendentives) but it will always have an echo if it has the shape of the portion of a sphere or a shape close to the portion of a sphere. Hemispherical domes have the strongest echo. 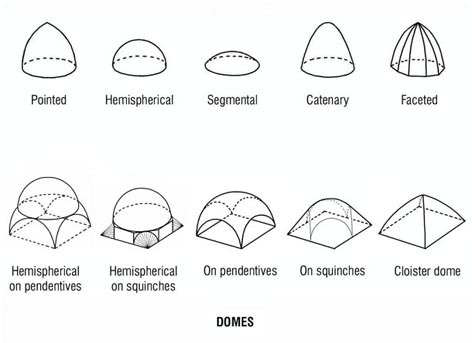 Pointed domes have rarely any echo but they can have a high reverberation and/or amplify the sounds. 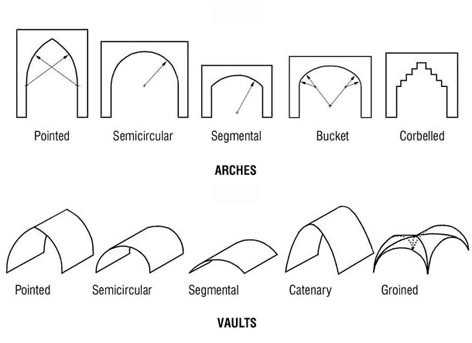 Domes which are generated by the intersection of vaults (i.e. cloister or groined dome) don’t have any echo at all. • The size of the volume created by the vaulted structure, which is generally larger than other ones. • The shape of the structure, which tends to hold the sound within itself. Echo and reverberation can be limited by acoustic correctors, which are called single resonator absorbers. A German engineer, Helmholtz, elaborated some formulas to calculate them. The human voice ranges from 100 Hz to 2 KHz, with an average frequency at 400Hz. Correctors of various sizes can be installed to absorb the desired frequencies. 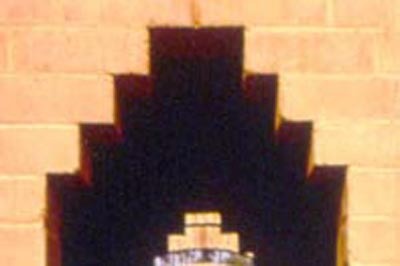 A cavity opened in a room and closed on the other side will resonate at a certain frequency. When a sound strikes the resonator, the air in the neck vibrates strongly, thus absorbing the sound by viscous loss. 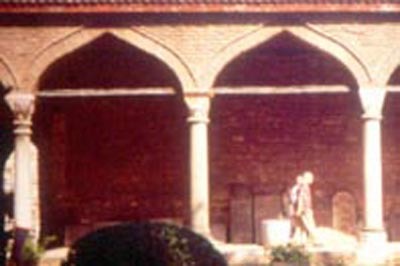 These types of absorbers have been used long ago in European monasteries, so as to correct the acoustic of vaults and domes. 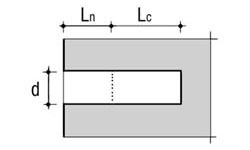 Today the formulas elaborated by Helmholtz allow calculation of these single resonator absorbers. The frequency absorbed is related to the volume of the cavity and the diameter and length of the neck which links it to the room. 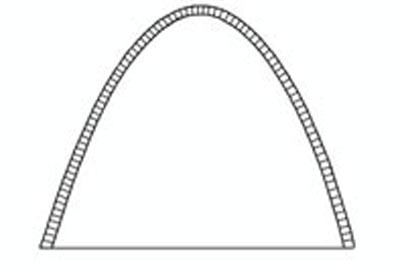 The larger the cavity is, the lower the absorbed frequency will be. Such a single resonator is effective only for a limited range of frequencies close to the resonant frequency at which it shows a sharp peak. When several single resonator absorbers are combined, so as to absorb a wide spectrum of frequencies, these must not be multiples of each other. For example, if one wants to absorb frequencies of 200 and 400 Hz, the result will not be effective: one would do better to absorb 220 and 380 Hz. Note that the principle of these resonator absorbers is to have a cavity closed at one end. This cavity can have either a larger size than the neck hole or the same shape as the neck. 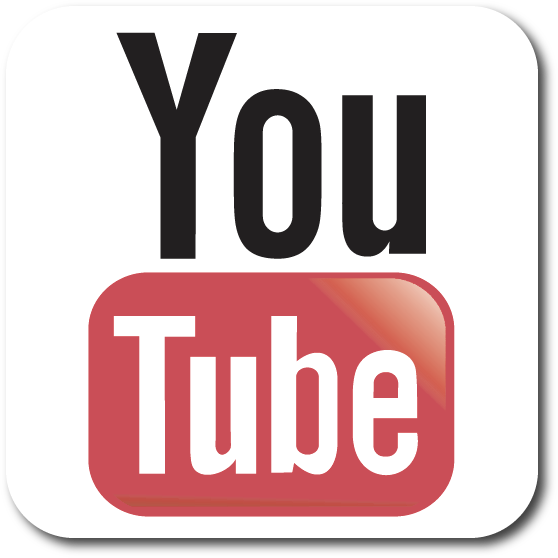 Thus it becomes a tube. Note that for the tube type resonator absorber, the neck length is a theoretical one, as the hole is done with a single tube. But the formulas are such that the neck length and diameter have to be given first. These formulas are only for a neck which is circular. 4. 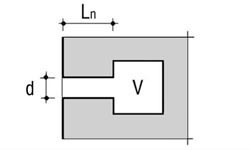 Add Ln + Lc to get the length of the entire tube. Note that here Ln is a theoretical length which is needed to do the calculation. 343 is approximately the sound velocity at 20 °C temperature and 1013 H Pa atmospheric pressure.